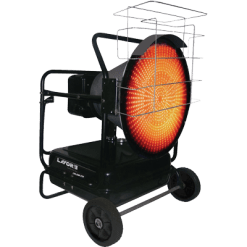 The FF125 Fan Forced Diesel Space Heater produces 125,000 BTU or 37KW of heat. 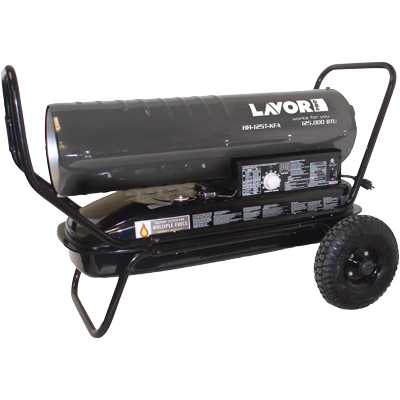 This heater includes wheels for easy manoeuvring around a workshop or shed environment. 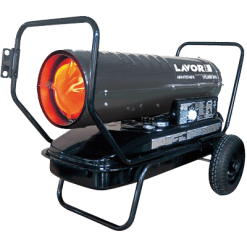 This diesel space heater has a 38 litre tank capacity, therefore it has a runtime of approximately 10 hours. 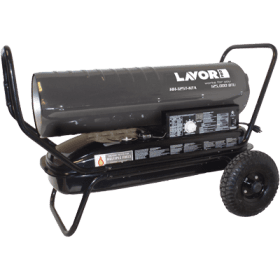 Alternatively, kerosine can be used as a fuel on this model. The unit has a thermostat control where it can be set to run up to a predetermined temperature. 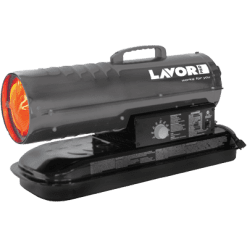 When the ambient air temperature reaches this level, the heater shuts itself off. Equally, the process works in reverse when the temperature drops below that level set. 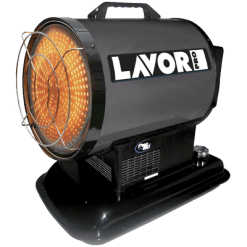 This diesel heater also has an air temperature digital display.